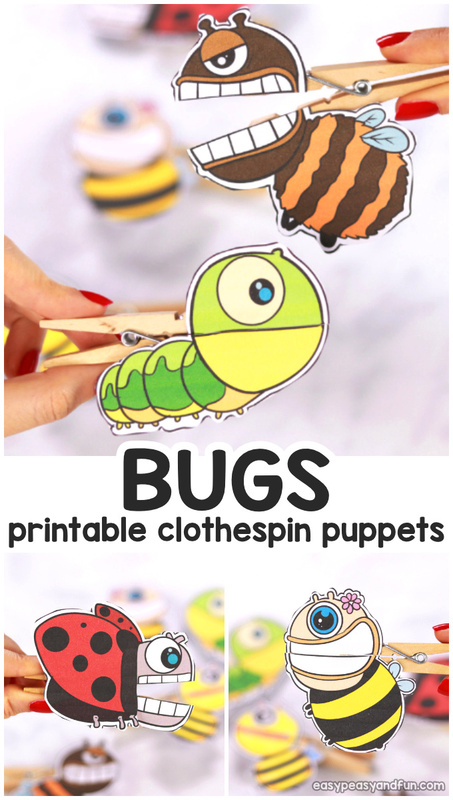 Using clothespins to hang the laundry might be boring but making clothspin crafts, especially these bugs clothespin puppets is insanely fun. 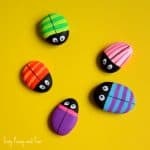 These lovely little creatures will bring a smile on your child face and are perfect to use during play time or story time. 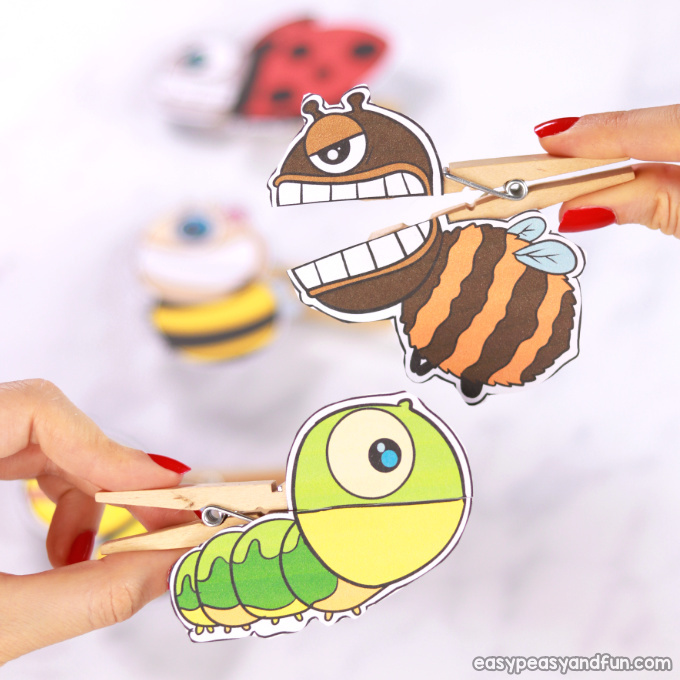 You don’t have to be a fan of bugs to be head over heels about these clothespin puppets. And oh boy do we have many! 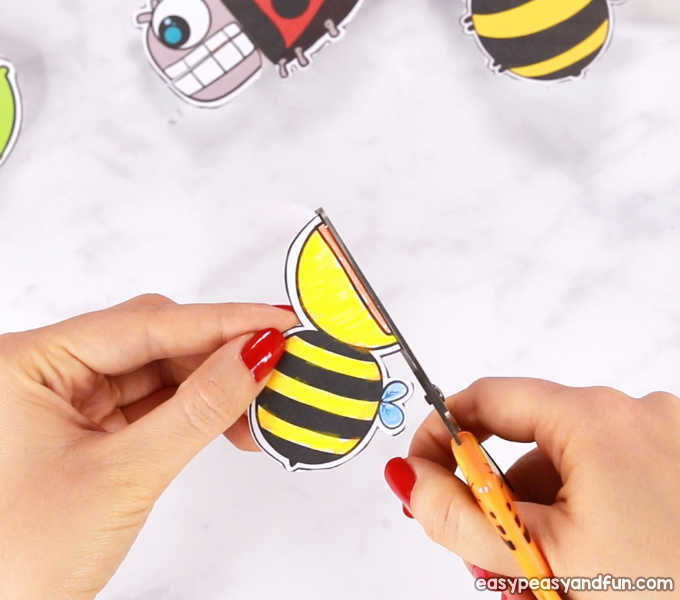 You’ll find a set of 4 different ladybugs, 4 different bees (bumblebee included), 4 caterpillats and 4 butterflies. 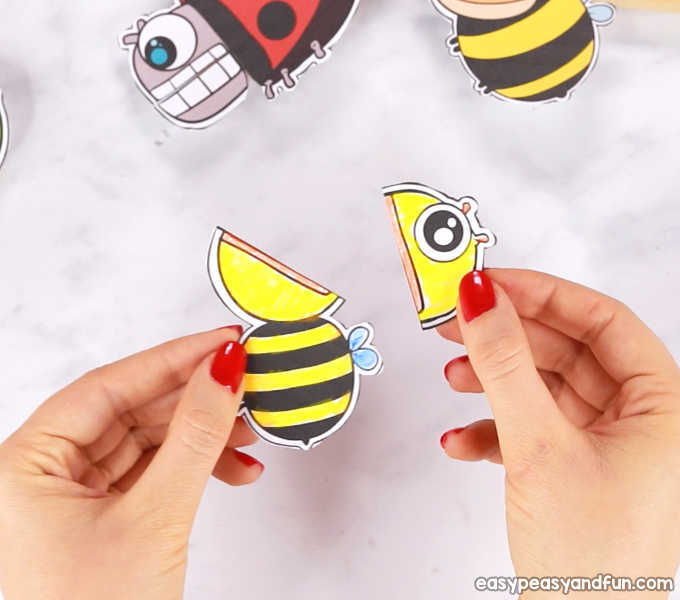 From super friendly looking through silly faced ones as well as a few angry looking bugs. 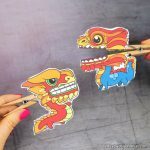 These are super easy to make, just print them out on cardstock, cut and stick on a clothespin and they are ready for action. 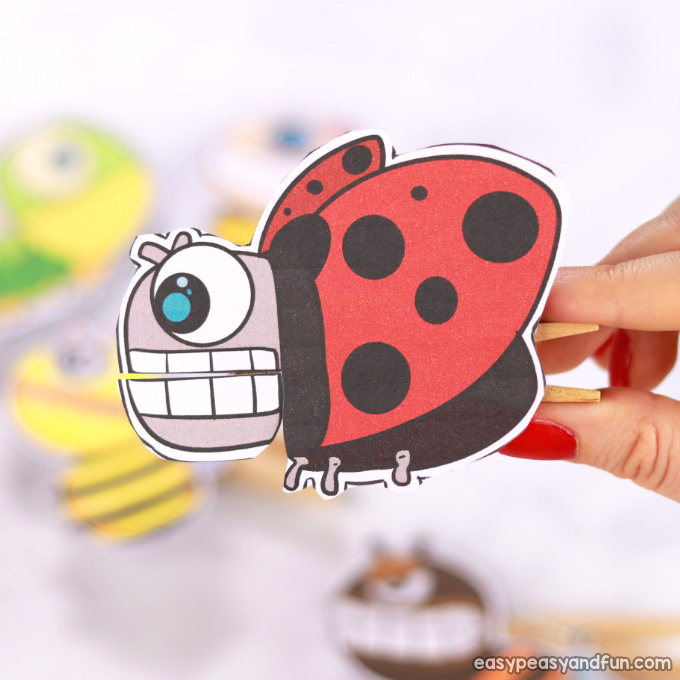 Just look at this crazy ladybug in action. 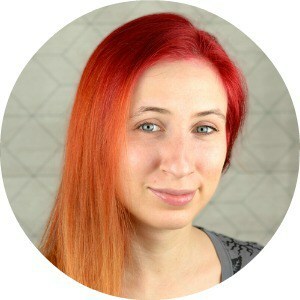 Or this friendly bee lady. Print out our template. 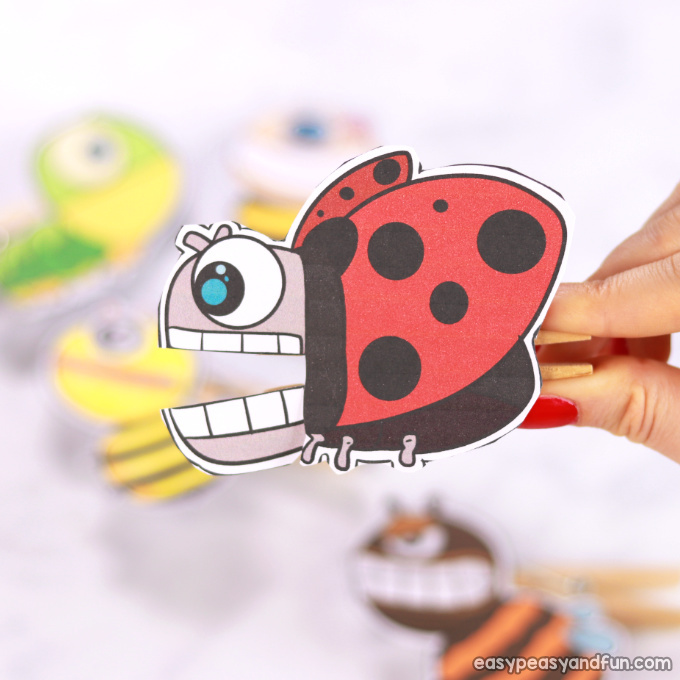 Each of the bugs comes in both black and white and precolored version (and facing both right and left). 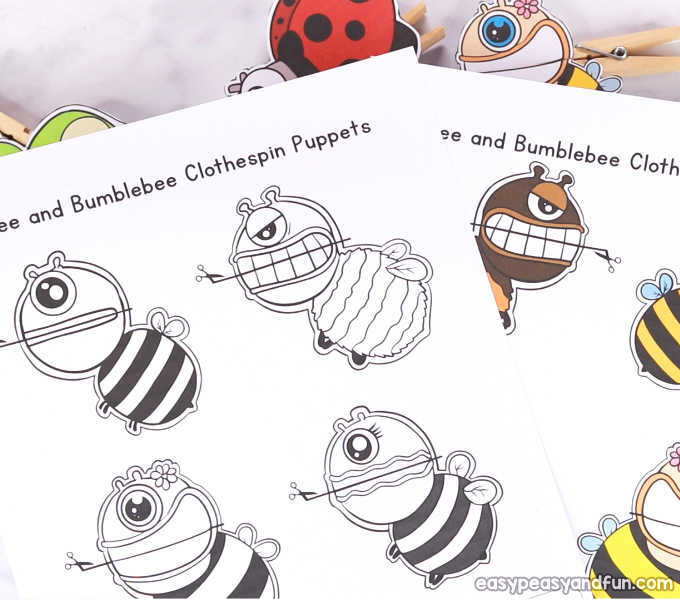 If you printed the black and white version, the first thing you need to do (it’s certainly easier that way) is to color in the puppet. 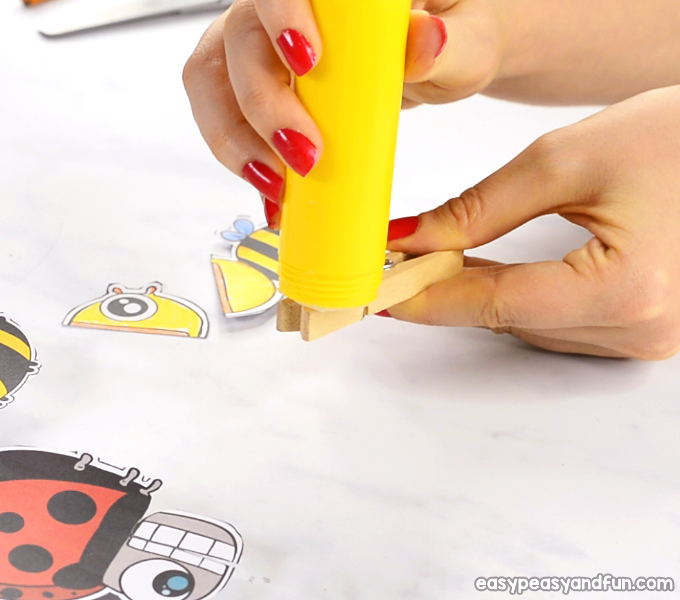 Once colored, cut out the puppet. Cut along the mouth line (or other cutting line indicated on the template). Cut the whole way through. 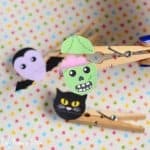 Apply glue either on the clothespin, or on the back of the puppet. 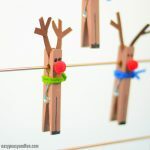 With wooden clothespins, any glue will do, while with plastic ones we recommend glue dots or using the glue gun. Stick the body on the lower gripping part of the puppet. And head, aligned to the lower part, on the top of the clothespin. 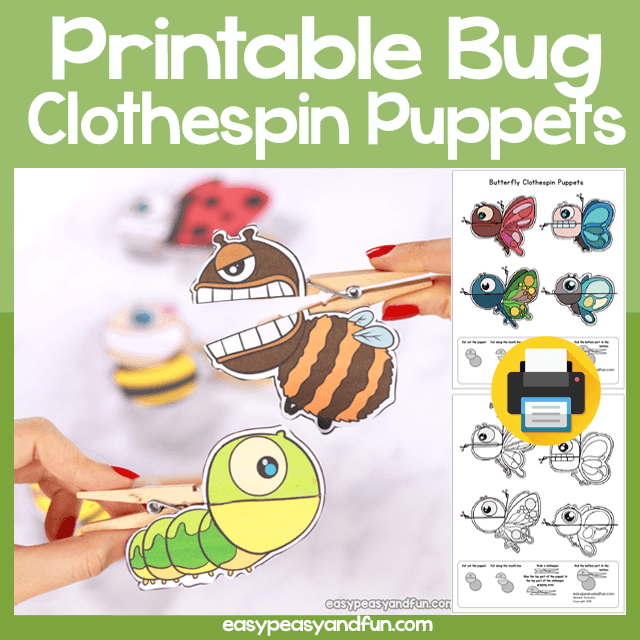 You can also print the version of the same puppet facing the other direction, and stick it on the back of the clotespin. All done! 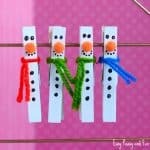 Your Bugs Clothespin Puppets are ready to play.